From Uncharted 4’s first teaser on the night of the PlayStation 4’s launch, it was clear piracy on a grand scale would be involved. It was Amy Hennig’s initial vision for Nathan Drake’s final bow. However, once she departed Naughty Dog two years into the title’s development, the project underwent a few changes. In an interview with USgamer, Hennig detailed what some of those alterations included. …all the beats, if you look at the chapter beats—with the exception of we didn’t have the flashbacks to his childhood and then we didn’t have the Nadine character—but just looking at the break by break that sorted the chapters, like where they go, what was happening, that was all while I was there. Gameplay mechanics introduced while Hennig was at Naughty Dog also made the final cut. For instance, the idea of Drake having a rope sprung from the team’s love of “the vines and the climbing and the swinging.” The next logical step was to put that kind of ability in Drake’s “pocket.” Driving counts as another mechanic that stayed the course across different creative leads. …the DNA and the core story were all there. The major differences had to do with like, I was introducing the idea of Sam as the brother. But my take on it was sort of different, that it was a little bit more—I mean I wouldn’t call him the antagonist in the classic sense, but it was an antagonistic force in Drake’s life that he then had to reconcile. So it was, you know, complicated by stuff coming up from the past. So, it’s a little bit different than him showing up and you know, “Hey bro, I got a problem.” Then, of course there was an antagonistic element to Sam in the final version of U4, but it wasn’t right there from the outset. So we kind of, in my story, it was a little bit more of the journey from this ghost from Drake’s past being an antagonist to sort of reconciliation and reunification. This insight is fascinating to finally learn from Hennig herself. 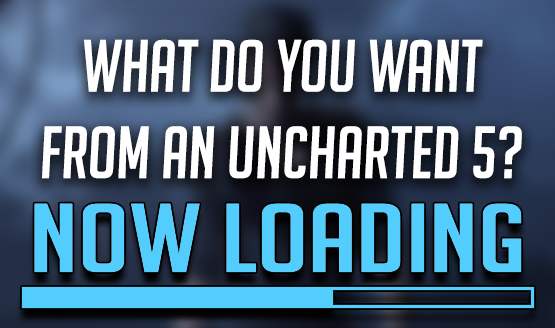 Still, there are a number of questions lingering with regards to Nathan Drake’s final outing. Chief among them is whether the story came to a close as Hennig envisioned. Hopefully, one day, this question and others will receive an answer.